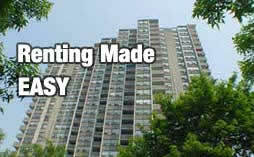 :: Tel-A-Rental :: Landlord rental services! Just how it sounds - Tell A Rental. Our 24 hour Renter Hotline will allow you to have your OWN Renters Hotline 24 hours a day, 7 days a week! Allow renters to access information about your rentals with our hotline. Simply record your property information on our hotline, and then let callers access your information using our unique Property Box listing ID system. Callers will be able to leave you voice mails about their property inquiries and directly transfer to your phone number without having to hang up! Get notified instantly with the callers name and number information when they access your property listing or leave a voice mail - send this information directly to your text enabled mobile device for FREE! Simply place our hotline number and your Property ID on a lawn sign and let passers by immediately access information on your rental listing then and there.